Since it declared independence from Somalia in 1991, Somaliland has developed into one of the Horn of Africa’s most prosperous and stable democracies. Despite having its own flag, parliament, currency and national identity, Somaliland’s lack of international recognition as an independent state has brought extra challenges for the country in dealing with the issues that unfortunately characterise the region. This includes difficulties receiving aid and relief work, which puts their population at risk in times of natural disasters and droughts as well as severely limiting opportunities for economic development. Although Somaliland has an exceptional record in fighting piracy and fundamentalist groups such as Al-Shabaab, the extreme poverty and lack of opportunities make terrorist groups more appealing to desperate young people. Thus, the recognition of Somaliland is an essential step to ensuring the country’s continued development as well as the stability of the region. In reality, Somaliland’s main obstacle is not the world’s animosity, but its indifference. Since the declaration of its independence at the beginning of 1991, Somaliland has experienced an extraordinary history of persecution, destruction and extreme poverty. Many of these problems are directly related and worsened by Somaliland’s status as unrecognised by the international community. Despite the many challenges, Somaliland has admirably managed to develop into a prospering and politically stable democracy. Somaliland and Somalia were two separate colonial states. In 1884, Britain established the British Somaliland Protectorate., while Somalia was colonised by Italy. For Italy, colonies were a question of national pride and the country was seeking assimilation of the territories. British Somaliland on the other hand was of marginal importance to the huge British Empire and was primarily used as a logistical outpost. The British colonial system was largely leaving traditional orders intact. The colonial legacies of Somaliland and Somalia are therefore significantly different. On 26 June 1960, Britain granted independence to the people of Somaliland. Somaliland’s independence was instantly recognised by more than 34 countries, including the five permanent members of the UN Security Council. 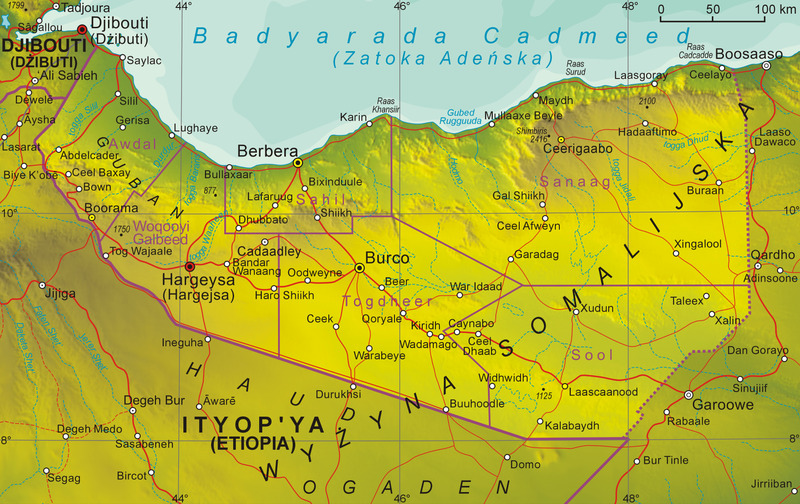 However, shortly after independence, Somaliland decided to voluntarily enter into a union with newly-independent Somalia. The union proved disastrous for Somaliland. Its political structure failed to recognise the decentralised nature of the region’s pluralistic and diverse clan systems. To the disadvantage of Somaliland, almost all key-political and economic opportunities were centred in Somalia. In 1969, Siad Barre took power in a military coup d'état. After growing increasingly repressive, opposition grew and the Somaliland National Movement (SNM) was formed in 1981 to resist Barres tyrannical rule. In retaliation, Barre ordered a crack-down on Somaliland, which took the lives of tens of thousands of civilians. After 9 years of civil war, Barre was overthrown in 1991 and Somaliland was able to declare its independence once again. Today, Somaliland is stable. With little foreign help, it has made considerable progress in the consolidation of statehood. Somaliland has had a number of peaceful transitions of power through elections for both parliament and presidency. On the most recent presidential election in 2017, although experiencing some degree of post-election disturbances, an international Election Observation Mission reported that they were “pleased to have observed an election which has seen Somaliland show its democratic spirit” and congratulated the National Electoral Commission on a “well-run poll.” The next parliamentary and local elections are scheduled for March 2019. At present, Somaliland is currently living up to all criteria of the Montevideo Convention on the Rights and Duties of States: it has a permanent population, a defined territory, a government and the capacity to enter into relations with other states. In line with other African precedents and with the African Union (AU)’s principle of “respect[ing] the borders existing on (…) achievement of independence” Somaliland seeks the re-recognition of its independence, urging the international community to recognise its decision to leave the voluntary union with Somalia. Somaliland continues to suffer significantly from non-recognition. Despite the many obstacles, it has managed to create a de-facto independent country with a functioning democracy and a growing private sector economy. However, Somaliland is still facing considerable economic challenges. This is despite a significant wealth in natural resources and a coastal line offering opportunities for tourism, fishery and attractive intercontinental trade. Developing Somaliland’s industries requires investments. Because of its status as an unrecognised state, Somaliland cannot sign agreements with multilateral donors such as the World Bank or the International Monetary Fund. Opportunities such as bilateral agreements on trade and humanitarian aid are also severely limited. This means that Somaliland is particularly vulnerable to humanitarian disasters such as drought and famine, both of which have frequently hit the region in recent years. Although Somaliland has achieved significant results in coping with political violence, terrorism and piracy, the lack of recognition puts at risk its economic and political future. Non-recognition has also impacted the status of women, since it might open the opportunity of influence from ultra conservative and fundamentalist forces. The stability of the region is essential for securing development, respect for human rights and the effective fight against international evils of terrorism, human trafficking and piracy. As outlined, Somaliland is a de-facto state fulfilling all the criteria set out in international conventions on statehood. This is an increasingly being recognised by the international community and prominent people such as the Vice President of the Atlantic Council and Director of the Africa Center, Mr J. Peter Pham. Mr Pham underlines that a reincorporation of Somaliland into Somalia would only create even greater conflict in the region, due to the chaos that characterizes southern and central Somalia, as well as the demographic reality of the majority of the population Somaliland never having known anything else but independence. With the admirable progress the country has already made, as well as the increasing support they are receiving from the international community, the recognition of Somaliland is an essential part in the positive development of the country and the region as a whole. UNPO is an international, nonviolent, and democratic membership organisation established in 1991. Its members are indigenous peoples, minorities, and territories who have joined to protect and promote their human rights through peaceful solutions. Dr. Walls, M. 2017 International Election Observation Mission – The limits of consensus, London, Development Planning Unit, p.43. Ismail, N. February 27, 2017 Somaliland: A Stable and Independent State, but no Recognition, World Policy Institute; https://worldpolicy.org/2017/02/21/somaliland-a-stable-and-independent-state-but-no-recognition/ (retrieved 06/08/18).